Photographer Stuart Rome has always had a unique perspective on the world. From the early days of his career photographing ancient art treasures in Latin America or contemporary trance rituals in Haiti and Indonesia, he became sensitized “to patterns of imagery within nature,” which provided insight into the artworks and cultures he was capturing on film. 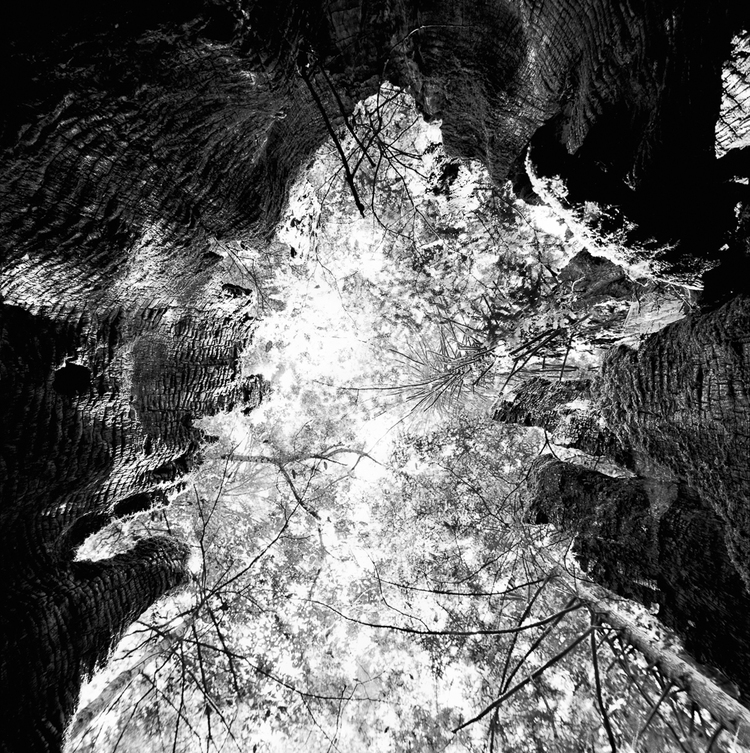 “Even in the middle of the California forests, or the Florida everglades – places I have visited often over the last decade—I searched out zoomorphic and anthropomorphic images, transformative patterns that create a visual bridge between two worlds,” said Rome, a professor of photography in Drexel’s Westphal College of Media Arts & Design. “The longer I have looked at the natural world, the more I have imagined a hidden text within those patterns. This has been the foundation for much of my work,” said Rome. 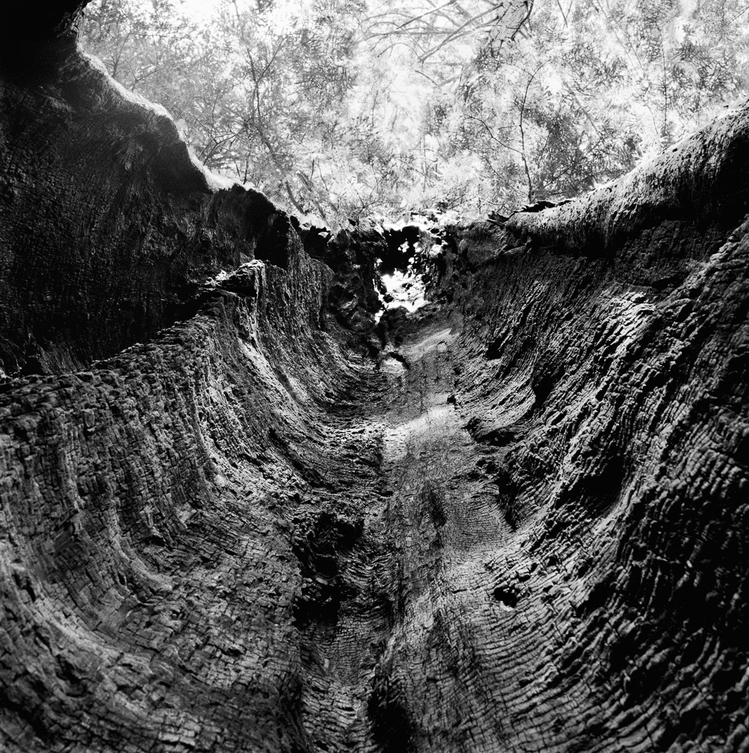 Rome’s most recent work – semi-abstract images from inside ancient, hollowed out redwoods and sequoias – earned him a prestigious Guggenheim Fellowship from the John Simon Guggenheim Foundation this year. The fellowship recognizes exceptional creative ability in the arts or exceptional capacity for productive scholarship. Out of roughly 4,000 applications each year, less than 200 fellowships are awarded. According to Rome, the redwoods and sequoias he shot – many 3,000 to 5,000 years old – have been recurrently struck by lightning, eventually carving out their hard central cores. These mammoth trees, though hollow, remain alive. The collection, entitled “Eye and Sky,” can be viewed here. 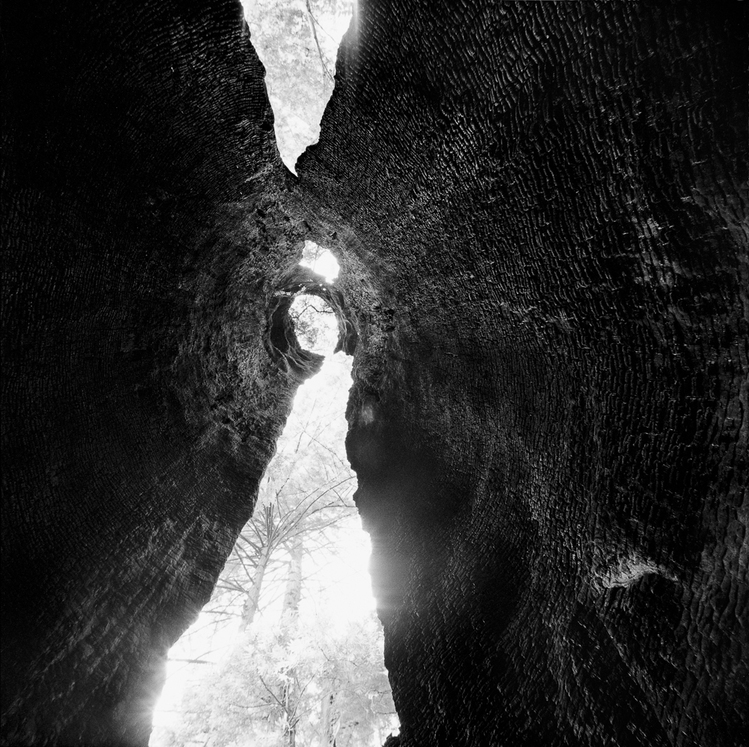 “I have been photographing from within these trees using the openings as apertures, framing the sky,” said Rome. “These works are not meant to be a photographic description or documentation, but instead to act as a catalyst designed to function as a portal from a recognizable world to something original and unexpected,” Rome said. Rome’s photos have been exhibited extensively in the United States, including at the Philadelphia Museum of Art, the Center for Creative Photography in Tucson, the Museum of Fine Arts in Houston, the International Museum of Photography at The George Eastman House, the New Orleans Museum of Fine Art and the Santa Barbara Museum of Modern Art. Leading photography collections such as the San Francisco Museum of Modern Art, the Yale Art Museum and the Los Angeles County Museum of Art also have collected Rome’s work. Members of the news media interested in speaking with Rome should contact Alex McKechnie at ahm62@drexel.edu or 215.895.2705.